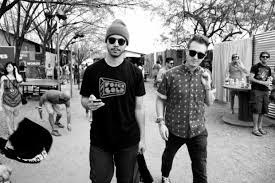 Been a little bit since I shared something from production duo Flosstradamus, but they returned with "Mosh Pit" featuring lyrics from Casino. The Chicago pair continues to blend EDM, Hip Hop, and Trap into their music and this one is no exception. This song is going to get you super hyped and ready to party, exactly what you need on a Saturday.